Have You Shopped At This Swanky Multi-Designer Boutique Yet? 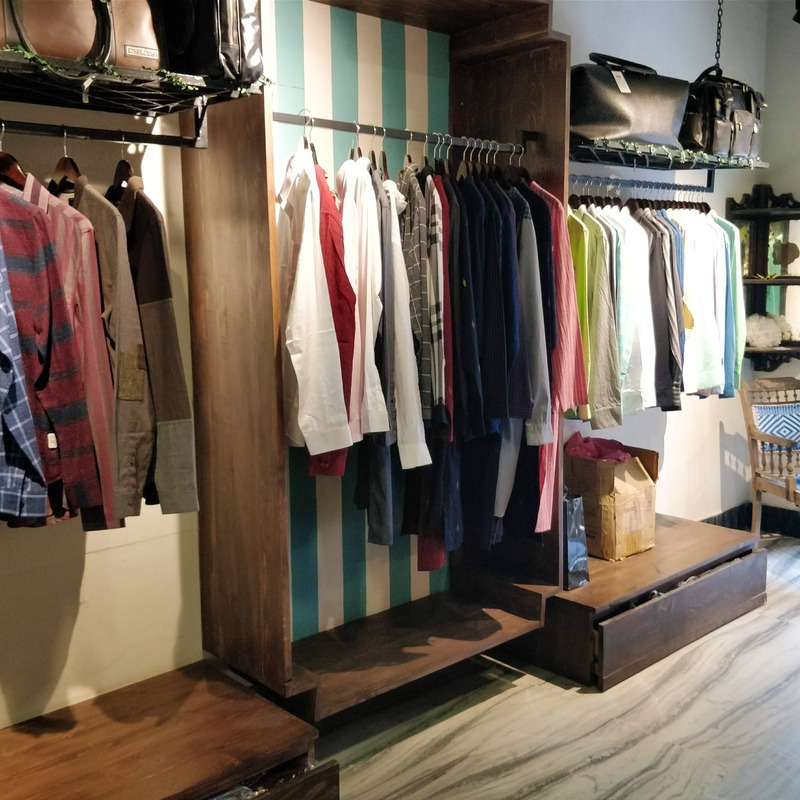 A Tailor’s Tale in Nungambakkam houses clothing, footwear, and apparel by more than forty designers and you must check it out. Do you know the evolution of a shirt? That's the first thing that caught our eye in the store - the story of a shirt illustrated via sketches and paintings. It begins with a piece of cloth and how it transforms into a shirt, it is like you are seeing a tailor’s tale. The kinds of sleeves, boots, and collars are also illustrated, so you have a chance to pick up some new fashion style tips. The boutique wins hands down for its decor - warm lights and pretty wall art, and we love that Chet Baker was playing on the speakers. You will find Western and Indo-Western clothes by designers like Sougat Paul, Lacquer Embassy, Sisa, and Swatee Singh. In the womenswear section, we found quirky blouses and saris. Our fave was a yellow blouse which had dancing frogs and amoeba (didn’t we tell you they’re quirky?) There are great shirts and suits for men, too. We love the white and pink checked shirt which would look snazzy with brown sneakers and blue jeans. We found amazing clutches - one had statement embellishments in different colours, while another was a dark pink fur clutch, both of which will work wonders for a party. You will find oxfords, derby, loafers, and casual shoes in plenty. Our fave was the yellow sneakers and burgundy loafers. Pair that with a light coloured shirt and a pair of shades and you’ll look lit. Women, you will find the prettiest footwear here, we found lots of mojhdis with popping colours. We fell in love with a white pair with intricate prints in multi-colours. Spin your own tale with apparel from this store.